The Good Vibrations group exhibition at Helsinki’s SIC, opened April 29 and ran to May 28. 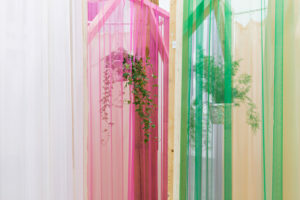 Curated by Elina Suoyrjö, the show includes work by Julie Béna, Happy Magic Society, Beatrice Lozza, Shana Moulton, mirko nikolić and Nastja Säde Rönkkö. 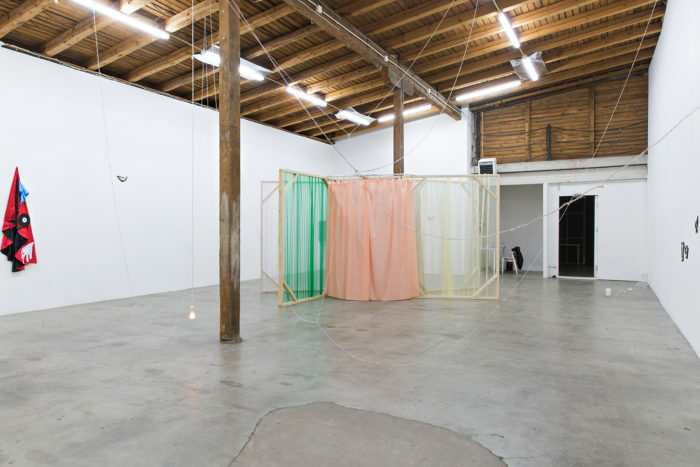 Good Vibrations (2017) Installation view. Courtesy the artists + SIC, Helsinki. 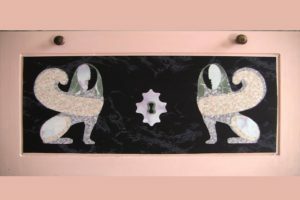 The press release is an optimistic invitation that asks you to join the good vibes and the energy in motion “radiating within a space.” The work is described as ‘happy objects’ that are there to be touched, picked up and interacted with. The Good Vibrations group exhibition was on at Helsinki’s SIC, running April 29 to May 28, 2017. 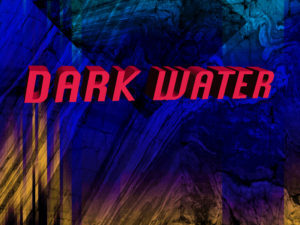 The Dark Water night of performance and screenings is on at London’s CGP on September 1. 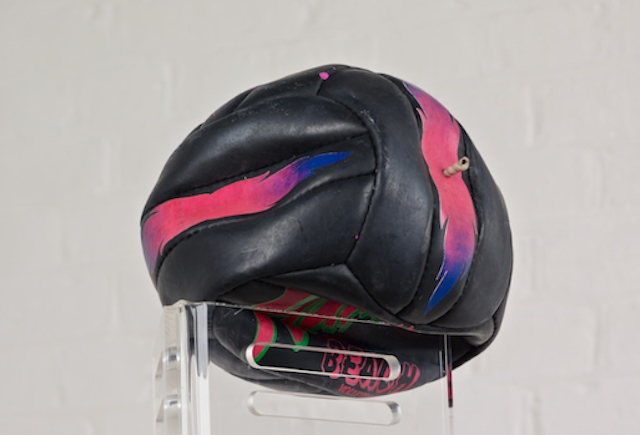 Plastique Fantastique, The Man Who Failed, Shana Moulton, Takeshi Murata, Fani Parali and Shani. A—Z is a curatorial platform produced by Anne Duffau that focuses on the idea of Entropy as the driving force behind each project. Shani is a multi-media artist whose practice spans across performance, video, photography, sound and curatorial. MONO5 is taking place at London’s Courtyard Theatre on the evening of February 3. 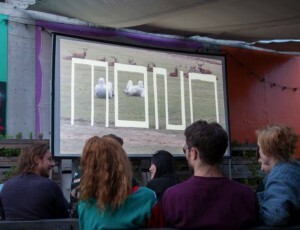 MONO is an artist initiative dedicated to moving image and hosting screenings set up by Rafal Zajko. 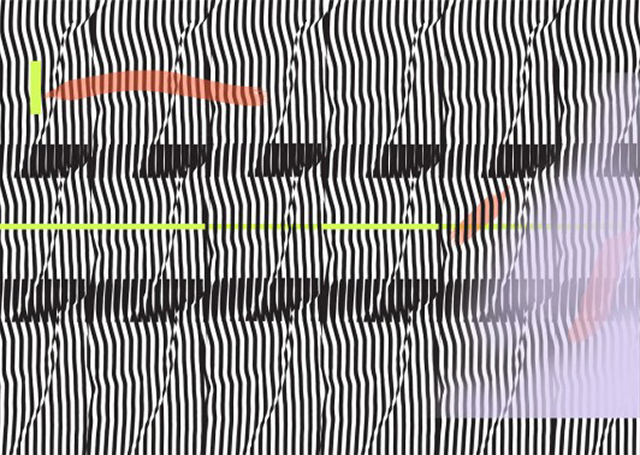 For the upcoming event, and mono’s fifth, Zajko has invited 16 artists including Sophie Hoyle, Owen Thackeray, Zehra Arslan, Beatriz Olabarrieta and Shana Moulton. MONO5 hopes to showcase the breadth of work made and approaches sought in the moving image field. Each work is always less than five minutes long, producing, perhaps, a coherent but scattered effect. 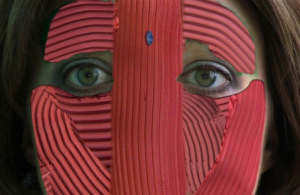 Owen Thackeray, Stethics Part 2 (Trailer), still from video (2015). Courtesy the artist. Nottingham-based One Thoresby Street is launching Sunscreen’s collection with 40 online works by 40 artists exhibiting outside the internet for the first time on August 27. Sunscreen is an online project conceived by artist and One Thoresby Street co-founder Candice Jacobs. For the launch, the project joins forces with the artist-led complex of galleries, project spaces and artist studios, as well as its partner, the East Mindlands collective EM15. The result is a showing of 40 online art works by 40 artists—including Shana Moulton, Joey Holder, Pio Abad, Anna Barham, and Alex Pain—on multiple screens across the One Thoresby Street ground floor galleries. 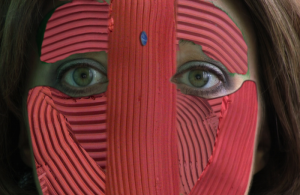 Shana Moulton brings a new, sold-out performance titled See me, feel me, touch me, heal me to South London Gallery today at 7pm. 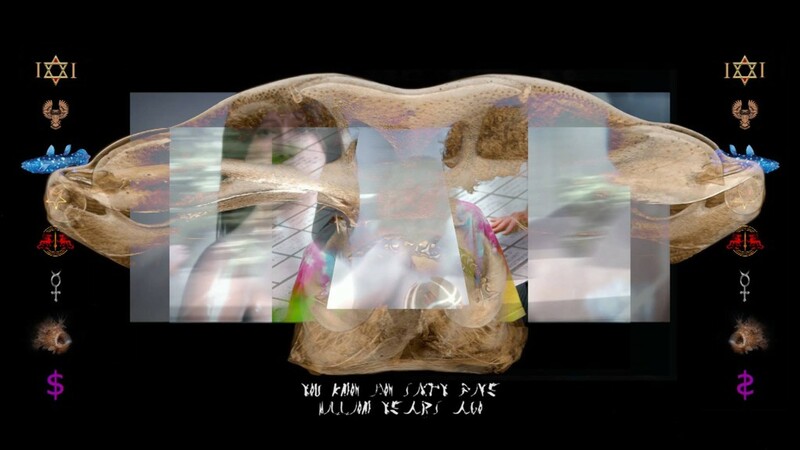 The performance, developed in conjunction with Moulton’s recent video, Mindplace Thoughtstream, comes woven through some of the artist’s video works for a layered multimedia experience of the “anxiety and dreams associated with bio medical advance and alternative medicine”. The Californian-born artist, whose background lies in Art and Anthropology, has made a lifelong project of her ongoing video/performance series, Whispering Pines, in which her alter ego, Cynthia, is healed by an “Avon lady/witch-healer”. Building on themes of self-healing and the “hysterics of personal improvement”, Moulton’s recent explores the gaps between the catharsis and cliché intrinsic to quests of self-improvement. Artists Shana Moulton and Sophie Jung will be exhibiting DOUBLE at Vienna’s Medienwerkstatt from November 20 to December 8. Medienwerkstatt’s experimental “Carte Blanche for Young Media Artists” is awarded to a different artist each year, and 2014 goes to artist duo Markus Hanakam and Roswitha Schuller and their “HOLO” and “PARA” exhibition formats. For Medienwerkstatt’s third program, Hanakam and Schuller took on the role of curators and invited performance and video artist Moulton and media-performance artist Jung for a collaborative exhibition. The two artists diverse styles bleed into one another through the access points of fantasy and disassociation seen through Moulton’s New Age alter ego in her performance cycle, ‘Whispering Pines’, and Jung’s abandonment of self. At the entrance of No one lives here, the latest exhibition by MA Curating students from the Royal College of Art, is a research display focused on the Pionen White Mountain Data Centre based near Stockholm, Sweden. 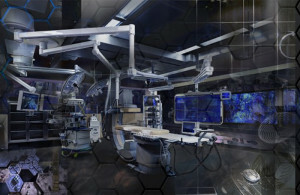 Three-dimensional renderings, alongside a short film, show how unique this converted bunker space appears, juxtaposed as it is with plants, geometric glass offices and whirring computer servers. It’s everything a James Bond villain could wish for and as the architect Albert France-Lanord explains in an interview, deliberately so. Its over-sized doors made to look secure, its sci-fi aesthetic designed to draw clients in closer to a vision of the future. Pionen White Mountain Data Centre. Image courtesy of Albert France-Lanord Architects. Photo by Åke E-son Lindman. ‘No one lives here’ @ RCA.